Since we have been waiting for our clownfish to become healthy enough to kick the “Ich” (parasite) we have had problems with, we have been postponing the purchase of any new fish. 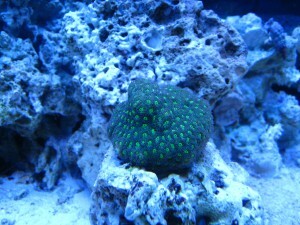 Instead, we have acquired a few new corals, all from Preuss Pets, and all very cool. Adding corals to your aquarium is one of the funnest parts of reefing! 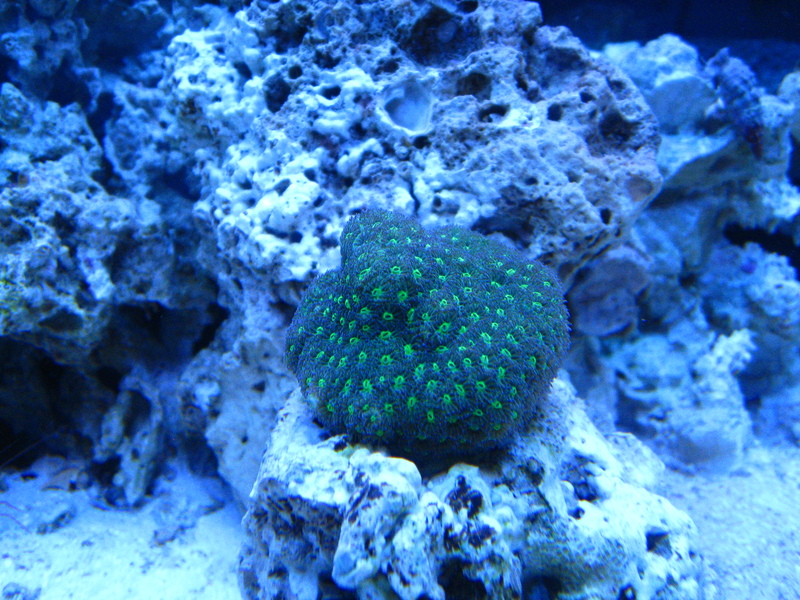 Green Leptastrea: This coral is comprised of numerous tiny tentacles surrounding a green polyp mouth. This coral will grow as a mat over any rock it is sitting on, but not on the substrate. 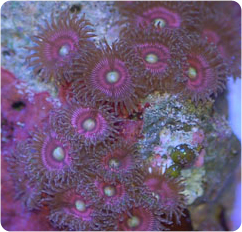 Metallic Pink Zoanthids: This coral is very pretty but produces toxins that can be harmful to humans. Gloves should be worn when handling this coral. King Midas Gold Zoanthids: This is another type of zoanthid, yellow in color, and looks great under lunar lighting. Pocillopora is a SPS coral with a hard stony skeleton and tiny hairy polyps with green tips. 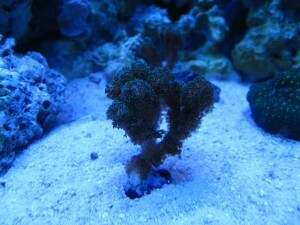 We learned just how fragile this coral is when we tried to remove the it from the frag base. Now we have 4 small Pocillopora, instead of one large one. 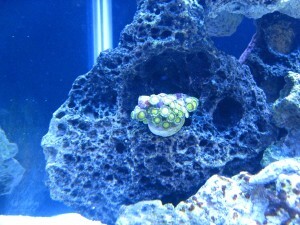 This entry was posted in Informational and tagged Corals, Leptastrea, Pink Zoanthids, Pocillopora, Yellow Zoanthids. Bookmark the permalink.